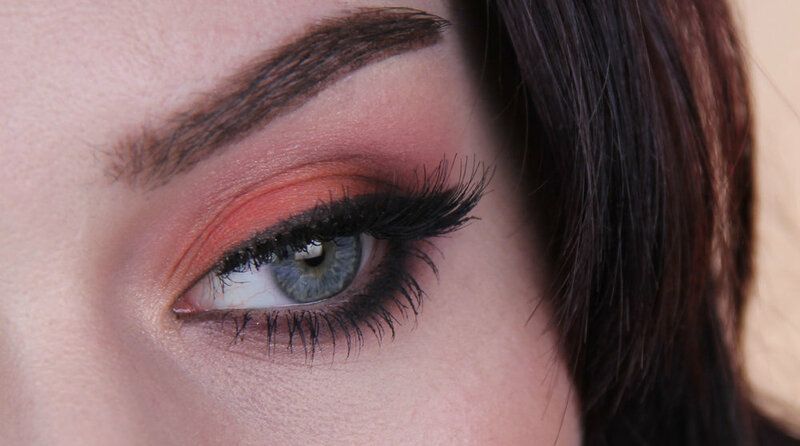 Today I played around with some of the products from the Too Faced Sweet Peach Collection. I was lucky enough to receive a gorgeous PR package from them yesterday and wanted to start testing out the products, as always, before I consider posting a review. I like a lot of Too Faced products already so I'm hoping I will enjoy these too, but I'll let you know next week! Something I really liked about this look is how it worked with my lid space. My lids are hooded so whenever I wear liner or lashes and look straight forward, you usually can't see any lid colour, only the smoke out. But because this lid colour was pretty bright (and slightly intimidating at first lol), every time I blinked or looked down you would see a flash of colour, which is actually pretty fun.